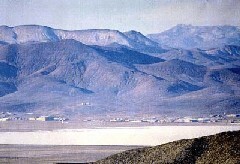 An unnamed source from Nellis Air Force Base in Groom Lake Nevada, commonly known as Area 51,has revealed to THE UNCOVEROR that the Unix computer operating system is alien technology. Unix was reverse engineered from the computers on the Roswell ufo. "Nothing that close to perfect has ever been developed by human beings," said the Area 51 employee. "And Unix isn't all! Almost all latter twentieth century high tech inventions came from Roswell." The government did not want you to know this. AT&T, who claim to have invented Unix, did not want you to know this. Now, thanks to THE UNCOVEROR, you do.